An event that celebrates the ancestral beverage, with only the best international and national beer brands. Different poeple binging beer to sharein just one place, evoking the traditional Oktoberfest in Germany, with dozens of different beer types, mechanized thrill machines and live music! You can also take delight in tasting hot wings, seafod, hamburgers and more, from local vendors while you look for the perfect pairing. 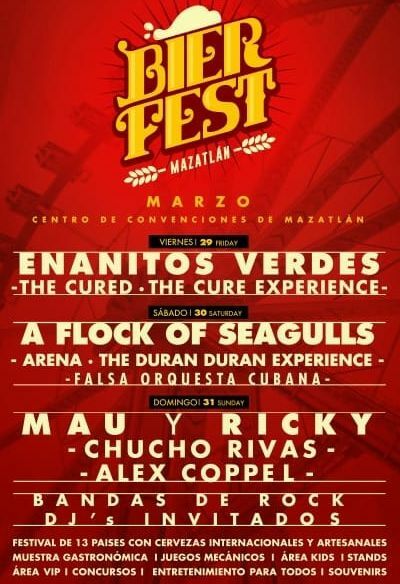 For more information and to get tickets for this grand event, visit the official website of the Bier Fest Mazatlán.